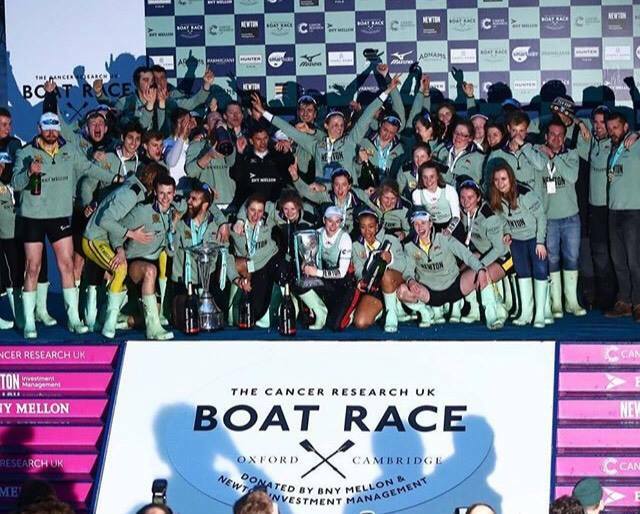 After the success of our Hawks’ and Ospreys’ Boat Race Party at Craven Cottage last year, we are looking to make this year bigger and better for the Boat Races on Sunday 7 April. Join us on the Riverside Terrace at the home of Fulham Football Club, for the best views of the Races. Doors open at 12:00 with the Women’s Boat Race at 14:15 and the Men’s Boat Race at 15:15. Tickets include 2 free drinks (pint of beer, glass of wine or soft drink). Throughout the day there will also be special offers on drinks, plus food stalls and Pimm’s and Cocktail bars on the Riverside Terrace. Screens will show the Races in full, with entertainment to include live DJs until 7pm. Dress code: Smart casual, jackets encouraged. No trainers, jeans or sportswear. A hospitality package is also available for the day, hosted in one of Craven Cottage’s Hospitality Lounges with direct river views and access to the Riverside Terrace. The hospitality package includes a glass of sparkling wine on arrival, premium buffet lunch and inclusive beer, wine and soft drinks throughout (from 12pm until 4pm). The public bars on the terrace will stay open until 7pm with a live DJ.